Exclusive! PRINCE To Appear On “New Girl” Super Bowl Episode! 12 Dec Exclusive! PRINCE To Appear On “New Girl” Super Bowl Episode! The one and only PRINCE will be making a rare TV appearance on the Fox hit sitcom “New Girl” that will air on Super Bowl Sunday. The Super Bowl airs on Fox Feb. 2nd, 2014. The cast of “New Girl” will be graced by music royalty as Prince will appear on the show playing himself. The premise for the show is to be centered around his notorious star-studded house parties where he performs so you might be seeing even more stars on this show. Will his new band 3RDEYEGIRL be with him? Big Deal Alert! Exciting news coming tomorrow….. Prince is no stranger to the acting medium, starring in the hit movie “Purple Rain” in which he won an Oscar for “Best Soundtrack”. This is the music legend’s First Sitcom Network Television Debut. 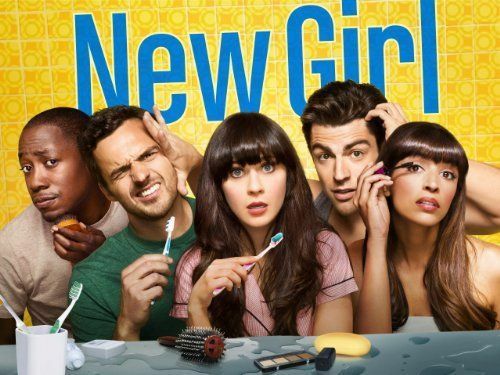 New Girl: Prince ficará entre Jess e Nick no episódio especial do Super Bowl! Gotta sing Hot Thing to Jess and Cece on stage dancing at party. HouseQuake also is a must. He’s playing himself. So everybody just relax! Prince will be cool. First of all, it’s LLLLOOOONNNGGGG overdue that Prince is getting back in the acting game. I am still floored by his acting in Purple Rain. He was on fire and was able to really get to the core of himself and BE in the moment in that film. I still love watching the film to this day. It’s my favorite film in fact. That moment where Prince destroys his father’s basement is his most emotional and when he really wants to Prince can act wondrously. His acting in Under The Cherry Moon was funny, tongue in cheek, campy and nuanced and he was on point in that film. He took his acting exactly where it needed to go in that film. In Graffiti Bridge, his acting was not at the depth of his stellar performance in Purple Rain, but considering the material and that he was directing it and in control of so much, he did a good job. In all the other side films he’s done as well as his music videos, he’s always been on point. Sometimes he can be a bit guarded in what he puts across. Raw emotion like in Purple Rain isn’t always on display but it’s cool. I read somewhere in an in-depth article on musicians being actors that when it comes to artists like Sting, Madonna and Prince, sometimes they’re unable to let go of their “persona” and just BE there character. I can agree with that. Prince is BEST when he’s playing PRINCE. And, even though I’d love to see him do a sequel to Purple Rain with Bruno Mars as his and Apollonia’s son, where he passes the torch to his up and coming artist son, I think it’s great that he’s going to be on “NEW GIRL”. His appearance will put him in the public eye in a big way and especially with a younger audience which will help keep his legacy alive for future generations. Now, all Prince needs to do is relax when it comes to his attitudes about YouTube and put up all his music videos on an official channel so the world can see his works and get into his songs. He’s got countless music videos in his vaults that aren’t entertaining, enlightening, educating, touching, changing the lives of and building on his legacy like they would were they AVAILABLE TO WATCH on YouTube. Not Download, Not bootleg, but WATCH and HEAR. Prince needs to do way more acting. As himself and even immerse himself in a character, like Mariah Carey did in “Precious”. If she can go as deep as she did in that film, distancing herself from Mariah, I know damn sure that Prince could do the same. And…SHOULD. It’s time to shake up the world, Prince…while you’re still with us. ACT, man. ACT. ACT. And, by acting…you’ll BE. Now, all Prince needs to do is relax when it comes to his attitudes about YouTube and put up all his music videos on an official channel so the world can see his works and get into his songs. He’s got countless music videos in his vaults that aren’t entertaining, enlightening, educating, touching, changing the lives of and building on his legacy like they would were they AVAILABLE TO WATCH on YouTube. Not Download, Not bootleg, but WATCH and HEAR. Because THE PROBLEM IS…when Prince is on “New Girl” and all the young generation of new fans as well as everyone else wants to go to the internet to explore THE ENTIRE VISUAL HISTORY OF PRINCE from 1978 to NOW, they’ll be at a loss when they go to YouTube and find…almost…nothing. NOT…GOOD. do you think he’ll perform https://itunes.apple.com/us/album/breakfast-can-wait-single/id695116852?uo=4&at=10lqsv? Anything to sell records nowadays. It’ll b a “MasterPiece” per4mance!!!!! Way Cool Doc, thanks 4 the EXCLUSIVE! Never seen the show, but releasing a surprise duet track between P and Zooey Deschanel at the same time as the show would be great promotion for P.